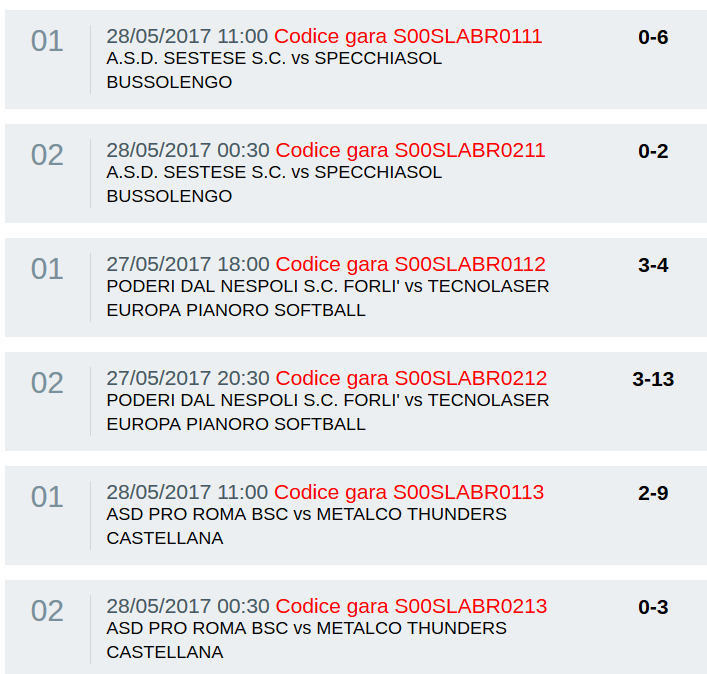 In the Italian Softball League week five (Group A), respective week eight (Group B) was played this past weekend. In Group A AB Caronno defeated Legnano 9-2 and 1-0. Kampo Labadini Collecchio swept Banco di Sardegna 3-0 and 22-2. 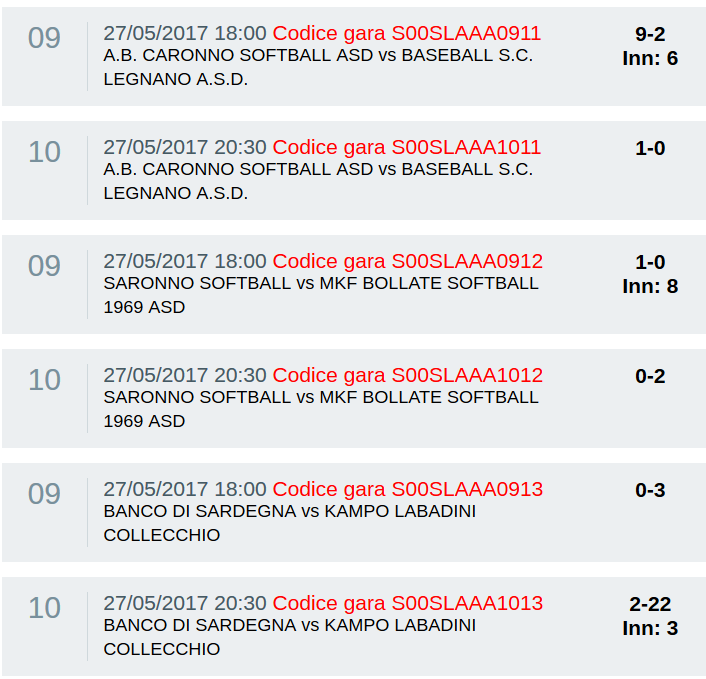 Saronno Softball and MKF Bollate Softball split a doubleheader. In Group B Specciasol Bussolengo shut out ASD Sestese twice. Tecnolaser Europa Pianoro defeated Poderi dal Nespolo Forli in both games. Metalco Thunders Castellana beat ASD Pro Roma in two games.